Aniakchak National Monument sees under 300 tourists every year. Each year, Aniakchak National Monument and Preserve is consistently the least visited of all National Park Service lands. It is a truly primitive area, located half way down the remote and rugged Alaska Peninsula. The volcanic geology and natural history of Aniakchak tells a tale of catastrophic change and phenomenal resiliency of life. The predominant feature is a 6.5-mile wide, 2000-foot deep caldera that was formed by the collapse of a 7,000-foot mountain during an eruption 3,500 years ago. Inside the crater is Surprise Lake which is the headwaters of the Aniakchak River. Up until the 1920’s, this area was only known to Aleut and Alutiiq Natives who have lived in the region for over a millennium. The Lake was named by Father Bernard R. Hubbard, a Jesuit priest and geologist, who, in 1930, is thought to be the first non-native person to have entered the caldera. Today, very few visit the Aniakchak National Monument. At Crystal Creek Lodge, we are so fortunate to take our guests on flight seeing and hiking adventures of the monument and surrounding preserve that borders our Yantarni Salmon Camp. 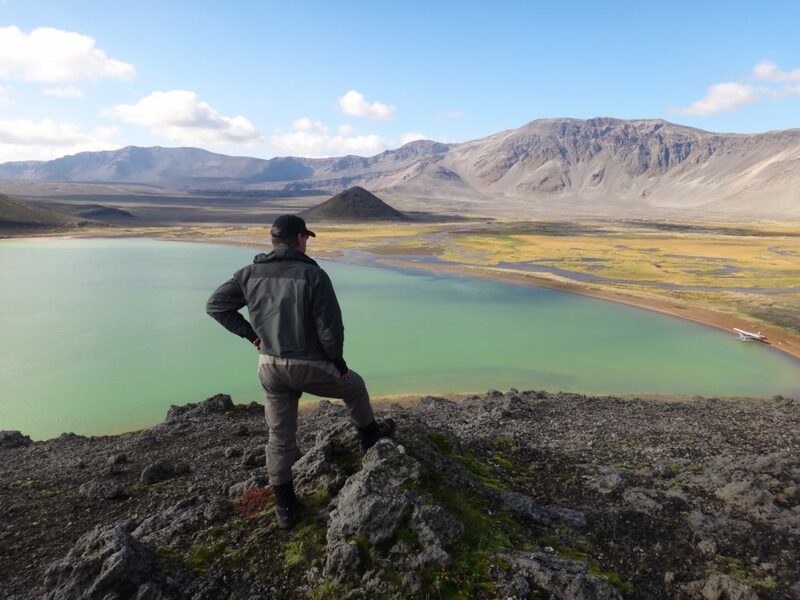 The scenery at Aniakchak is stunning, and the solitude is unmatched. With favorable weather, this is a special adventure that Crystal Creek Lodge guests can enjoy anytime of the season. Landing upon the waters of Suprize Lake is a stunning and unforgettable experience. Contact us to learn about our all-inclusive lodge packages.